Christmas is celebrated around the globe by millions of people. It is a time of giving, family gatherings, Christmas trees, Christmas Carols and for Christians around the world, prayer. Malta has it’s own unique customs and traditions so if you are celebrating Christmas in Malta, here is a guide to our top Maltese Christmas traditions. The first ever recorded crib in Malta was in 1607 at the Dominican Friars in Rabat . 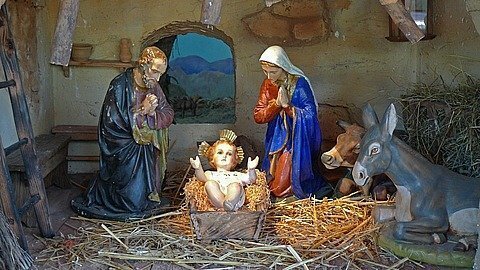 Since then their popularity has grown from strength to strength and nowadays Nativity cribs are an integral feature of our Christmas celebrations. From simple paper-mache cribs to elaborate mechanical affairs to live cribs in village squares, they can be found everywhere; in each home, church, hotel, town hall, public building and even in roundabouts. Each family will have it’s own crib, if not collection of cribs. This consists of figurines, (pasturi), of baby Jesus, Mary, Joseph, the shepherds, The Magi, angels donkey, cow and all the characters associated with the nativity story. During the month of December various crib exhibitions are held throughout the Maltese islands, these exhibitions are popular with both tourists and locals. Malta Tourist Authority crib exhibition held inside the Parliamentary building, Valletta. Ghajnsielem, Gozo. Bethlehem f’Ghajnsielem, a nativity village, with over 100 actors is set up. From about 5 weeks before Christmas many households in Malta and Gozo set about preparing their vetches, gulbiena. A family activity enjoyed by all especially the young. Seeds of wheat or grain are placed on damp cotton wool and left to germinate undisturbed in a dark corner. These produce long white stems that are then used to decorate windowsills and cribs. On Christmas Eve in most villages and towns one will come across The Children’s procession,whereby children singing Christmas Carols and carrying Christmas lanterns carry the statue of baby Jesus around the village. This lovely tradition is believed to have been started in 1921 by the priest, Fr. George Preca. Midnight Mass then follows the Children’s Procession. The Mass usually commences with Christmas Carol singing, the most popular Maltese Christmas Carol being, Nini la Tibqiex Izjed. The highlight of the Mass is the oldest of the Maltese Christmas traditions, the Child’s sermon,Il-Priedka tat-tifel . 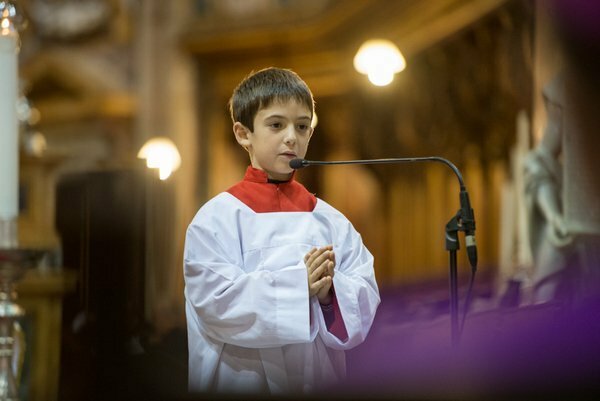 A child aged between 7-11 is chosen to recite the Nativity story. This replaces the priest’s sermon. This special performance is thought of as a great honour and the child will have been helped to prepare for it by all extended family members and friends. After Midnight Mass, it is also a custom for the local parish priest to offer traditional refreshments to his parishioners. Refreshments such as date cakes (mqaret) and Imbuljuta tal- Qastan, a traditional spicy Christmas drink made using cocoa, chestnuts, cloves and citrus zest. In Malta, Christmas Day is a time to celebrate with family. The extended family gets together for a long lunch that invariably extends into the evening. A traditional Christmas day lunch consists of timpana followed by turkey, dundjan, and all the trimmings. 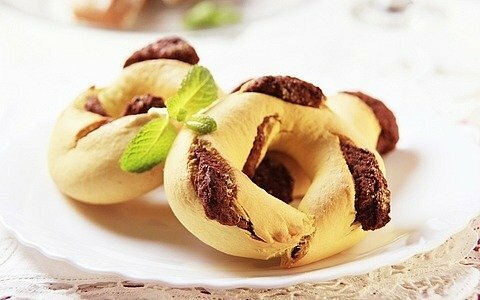 Desert is usually Christmas pudding, pudina tal-Milied and honey rings, qaghaq tal-ghasel.